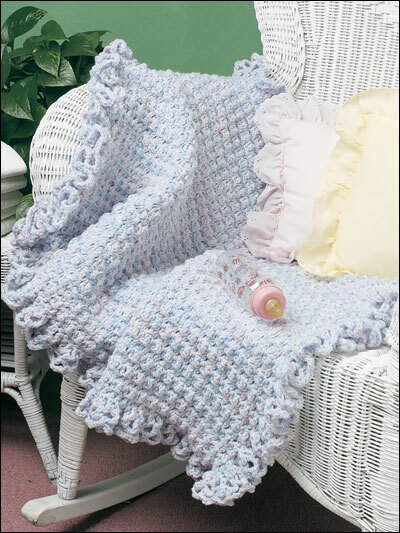 Three strands of yarn used with simple stitches make this textured afghan especially cozy for Baby. 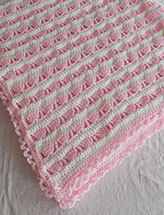 Afghan and border are worked holding one strand of each color yarn together as one throughout. Size: 30" x 33". 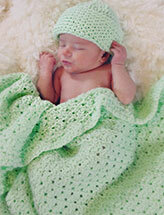 Made with fine (baby) weight yarn and size K/10 1/2/6.5mm hook.